Televisions have always been an integral part of our life, they perhaps are like a unique member of our family whom we listen and watch. And these days by the way, who needs just a regular TV when you can afford a SMART T.V. by shedding few thousand rupees. One must remember that our life doesn't limit only to entertain ourselves simply by watching the ‘Oprah show’, but life expands to reaching our social circle though various social networking websites, replying an important personal or professional mails, even browsing the web just for fun. 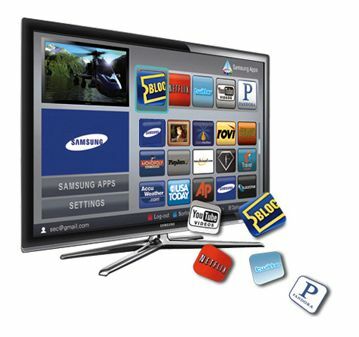 Yes, to accomplish these activities we do need a Smart TV that facilitates all of the above mentioned daily activities. What exactly we mean by a Smart Box? Just like computers, a Smart Box is a device that runs on an OS (Windows, Android, and Linux Ubuntu). The box is made to connect with the TV set through the help of HDMi and its built-in USB ports allow any storage media devices such as external drive, pen drives etc. to get connected and easily access the media files. Moreover, the Smart box uses Wi-Fi connectivity feature to put a user on the web and make him access his social networking sites, emails and the entire web. So, let’s consider what choice of Smart TV boxes we have just before Christmas. · The Affordable Portronics Lime box: Priced at Rs. 8499/- the Lime box is the Smart box that can easily penetrate into Indian Smart TV markets and in homes too. According to its well looking price, it 2.3 Gingerbread Android OS, 1.2Ghz Rockchip processor, slot for SD, Wi-Fi, 512MB RAM, HDMi and Remote for comfortable on-off of the device. Limebox is stylish smart box perhaps a cute looking device that could really win over the hearts of buyers. Talking of how it manages to play the media files then read this out: a heavy definition MKV file or MP4 runs steadily with fast forward & rewind. When connected to the Wi-Fi, the YouTube videos are on the zoom and loads without delays. Certain disadvantages of the Limebox are: absence of keyboard and mouse can be felt which hinders user to play several games including Angry Birds. Akai Smart Box: Akai is already a well established name in TV markets and its Smart box is priced amazingly at 6,990/- which runs on the same 2.3 Android Gingebeared OS but have 1GB of RAM. This smart box has an edge over the Limebox as it offers a wireless mouse. The mouse back button (through the right-click) helps the user to comfortably navigate the interface. Talking of the interface it gives easy access to the features through set of shortcuts like media, games etc. Certain disadvantages for the same are: troublesome playing of few heavy files like MKV HD movies, few jolting app games. Zotac Zbox Nano XS AD11: We can say that this smart box is the hunk amongst all the other smart boxes available. Loaded with AMD Dual Core processor, 2GB RAM, 64GB SATA drive, 6 in 1 memory card, wifi dongle and ability to run Windows 7 OS comfortably (although it comes No OS Pre-installed), The Zotac Zbox Nano XS AD11 looks tiny but it features unfold to playing heavy games like Prototype-2, NFS on specific low settings, a webcam that can help you with vide chat on Skype, Windows media center remote control etc. Several Cons of the Zotac: No per-installed OS makes it bit costly if you choose to go for the registered Windows OS. Again shred few more bucks to acquire a keyboard and a mouse which can turn Zotac into a complete PC. Although price is around 25,400, it cannot be put under the disadvantages of the product considering the amount few good features it offers. That means, between a budgets of 7K – 25K, you can own a perfect Smart box which can transform your TV room into a real smart working environment.